Maynard recorded seven sacks this Saturday against USC. On Saturday against USC, quarterback Zach Maynard reverted back into his old, mediocre form. Having said that, any further evaluation of Maynard’s play on Saturday needs to be prefaced with two things. First, his offensive line absolutely let him and the team down. The unit was completely dominated by USC’s defensive line, giving up seven sacks. Maynard was constantly running for his life and only had a handful of plays where he could sit back in the pocket and step into his throws. Secondly, Cal failed to establish any sort of running game (except for a brief stint in the third quarter), often forcing Maynard and the offense into third-and-long situations. Running backs Isi Sofele and C.J. Anderson carried the ball a combined 13 times for just 48 yards. Maynard excels at rolling out and hitting guys underneath on short and easy throws — and the lack of a ground game prevented Cal from utilizing him in that way. Regardless, Maynard still had an awful game. There were still plays when Maynard had decent protection and open receivers downfield and he simply failed to put the ball in the right spot. His pocket presence was poor, and he could’ve avoided at least two of the sacks by throwing the ball away. His stat line doesn’t necessarily show it (18/33 for 173 yards and 2 picks), but this was one of the worst games he’s played at Cal. Two plays in particular stand out from Saturday. 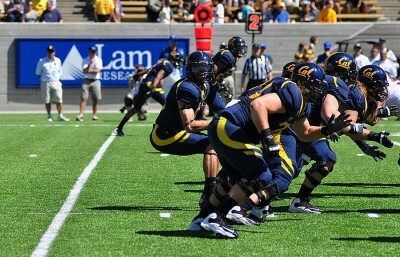 The first came towards the end of the third quarter, with the Bears facing a 2nd and 10 at USC’s 14. 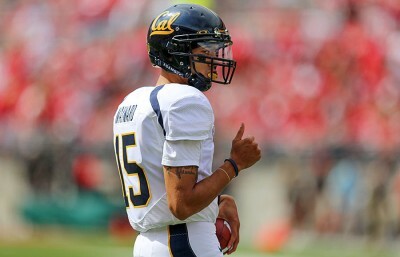 Cal had cut USC’s lead to 17-9, and were looking to score for the third straight drive and tie the game. Maynard initially saw nothing downfield, so he started to roll to his left and tried to sell the run. With Anderson running in the flat, Maynard jumped back and tried to squeeze a pass into a non-existent window, only to have USC’s T.J. McDonald jump the route, snag the ball and tap his toes for the pick. What Maynard didn’t see was a wide open Bryce Treggs literally jumping up and down in the back of the end zone to alert him to the fact that the closest Trojan defender was about as far away as Inglewood. Throughout his career, Maynard has shown poor field vision and poor decision-making — both of which were on full display on that play. 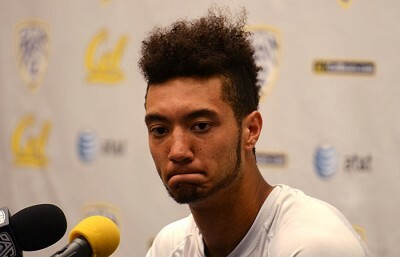 Throwing that interception might as well have ended the game for Cal. Later in the game, the Bears were down 20-9 with the ball on their 20. On third and 15, Maynard had all kinds of time to throw and slowly rolled to his left in order to try buy some time and find someone downfield. His brother Keenan Allen was double-covered, and no one else managed to get open. So Maynard made a good decision in not to force anything and risk another turnover. However, instead of tossing the ball out of bounds — as he was well outside of the pocket — he just sort of nonchalantly jogged out of bounds three yards behind the line of scrimmage. He then proceeded to chuck the ball at the ground, and bee-lined to the bench with his head down. First off, every quarterback to ever play the game of football knows to throw the ball out of bounds on that play. If you go through your reads and find nothing and have nowhere to scramble, you throw the ball away. It’s just second nature. Maynard knew that, but he wanted to show his frustration with his team and his coaches. Regardless of what he thought, the game wasn’t over, as there was still more than 13 minutes left. In that situation, a quarterback can’t just concede yards to the other team and start throwing up the white flag. If Joe Kapp or Jack Clark were coaching Maynard, he almost certainly would’ve sat out for the rest of the game. What’s probably most disappointing about Maynard’s play so far is that it in no way matches what was being said about his development this spring. He appears to have actually regressed in some facets of his game — namely his decision making. His Ohio State performance was encouraging, but this weekend’s game effectively erased that memory.